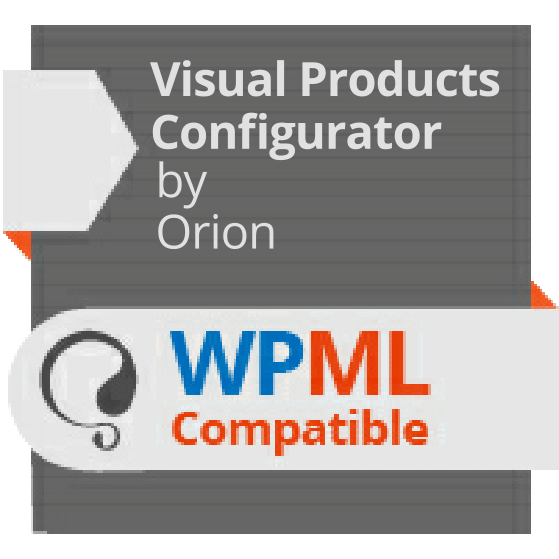 We are happy to announce to you that the WOO VISUAL PRODUCT CONFIGURATOR plugin is now compatible with WPML. The WordPress Multilingual Plugin ( WPML) makes it easy for site owners and bloggers to translate web pages, posts, custom types, taxonomy, a theme’s texts and menus all into different languages. Sites admins can easily install it on their sites without coding and turn their site into a multilingual site, breaking the language barrier.Whether you speak French, Spanish, Japanese, German, Portugese, Italian, Chinese, just mention the language. The opportunities are limitless. You can now use the Woo Visual Product Configurator plugin and boost your business across the world. Woo Visual Product Configurator is a flexible extension which lets you setup any customizable product your customers can configure visually prior to purchase. Bikes, jewels, flowers, surf boards, shirts, suits, guitars, hover boards or whatever you want it does not matter which type of product you’re selling.All this can be done visually by selecting each component and option while previewing how the final product will look like.No doubt your customers will have fun buying from you.